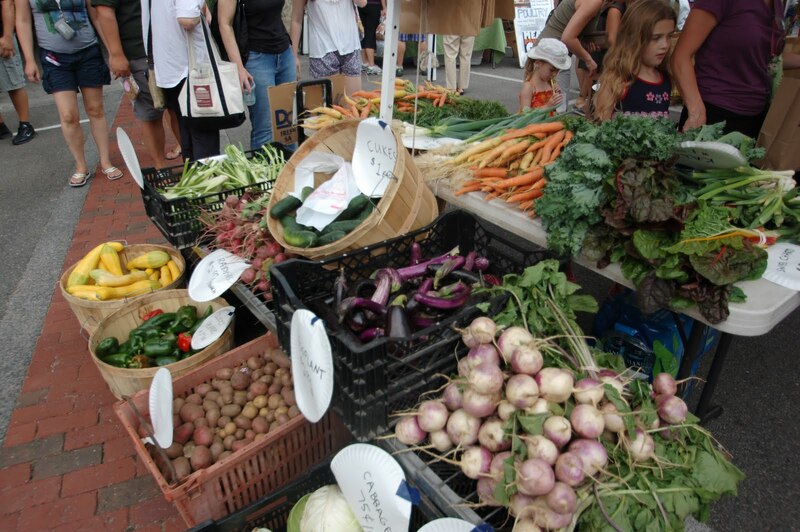 It seems like each year the SoWa Farmer’s Market gets better. The variety and quality of vendors is excellent and although it can definitely add up (no bargains at this market) it is my favorite place to shop for groceries. Although the market is open both Saturday and Sunday (the market expanded to Saturdays for the first time this year), one of my favorite vendors, Valicenti Pasta Farm in Hollis, NH is only at the market on Sundays so I generally shop then to pick up one or two (and sometimes three) packages of their homemade pasta. If you’ve never splurged to purchase fresh made pasta (and I don’t mean fresh made pasta that has been sitting in a grocery store chain freezer for a week), then you are really missing out. The way these pastas absorb the flavors of the sauce puts dry pasta to shame. If you live in the area and have never ventured over to the SoWa Farmer’s Market, make it a point to check it out. All the vendors come from area farms and the selection is really excellent. SoWa Farmer’s Market is open Saturday & Sunday from 10AM-4PM through October 2017, but note that Valicenti Pasta Farm is only there on Sundays. This entry was posted in Cooking and tagged BosGuy, Boston Guy, SOWA. Bookmark the permalink.